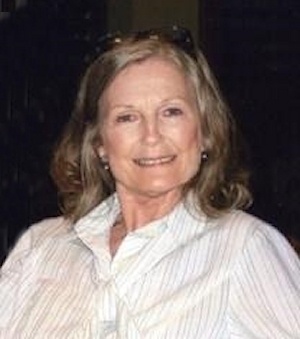 Obituary – Magruder, Linda Rae (Eastin) « Perry High School Alumni Association, Inc.
Linda Magruder was born on August 28, 1943 in Tulsa, Oklahoma and passed away on April 13, 2015, in The Woodlands, Texas. 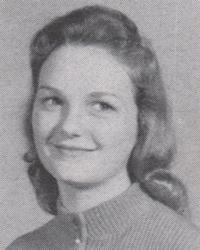 Linda was preceded in death by the loves of her life husband Joe Magruder; sons Jeffery and Devin Magruder; her parents Roy and Ruth Eastin; sister Bobbie Buffington; brother Roy Lee Eastin and wife Billie Gayle Eastin. She is survived by grandchildren, Hannah and Haden Henderson; sister Wanda Williams and brother-in-law Charles Williams; brothers–in-law Hollis Magruder and Mike Magruder; nephews Kevin McQuain and wife Debra, Troy McQuain, and Erik Eastin; nieces Pat Watson and Teresa LaMothe and husband Kirk; great-nephews, Justin McQuain and wife Kalyn, Jerrod McQuain and wife Erin; great-niece Lauren Shaw and husband Matthew; great grand-nieces, Presley, Aubrey, Peyton, Hadyn, and Adelyn McQuain; great grand-nephews Randy Watson, David and Darin Eastin. Linda was affectionately called Sissy and Auntie by her family to whom she was devoted. Whether it was at a family gathering, watching her favorite TV programs, loving her pets, or a trip to the mall, she was always happy. She will be missed deeply and will be remembered for her independence, strength of character, and loving nature. Linda’s family invite you to a celebration of her life, 2:00 p.m. Saturday, May 2, 2015 at 6731 Pennwell Drive, Spring, Texas 77389.